We’re always up to collaborating with great agencies and help them drive the world to a better place. Take our managed WordPress hosting skills, combine it with smartly built WordPress sites, and you’ll get a combo that feels just right—your visitors can finally get the experience they never knew they wanted. Our collaboration with Pixelgrade is no different. The people behind the funky name is what makes the agency tick, and we’re here to tell you more about our work together. Let’s dive in! Who is Pixelgrade?Who is Pixelgrade? Our fellow Romanians, with a distance of approx 600 km between us, yet being far seemed only to allow us to focus on what’s most important: delivering. 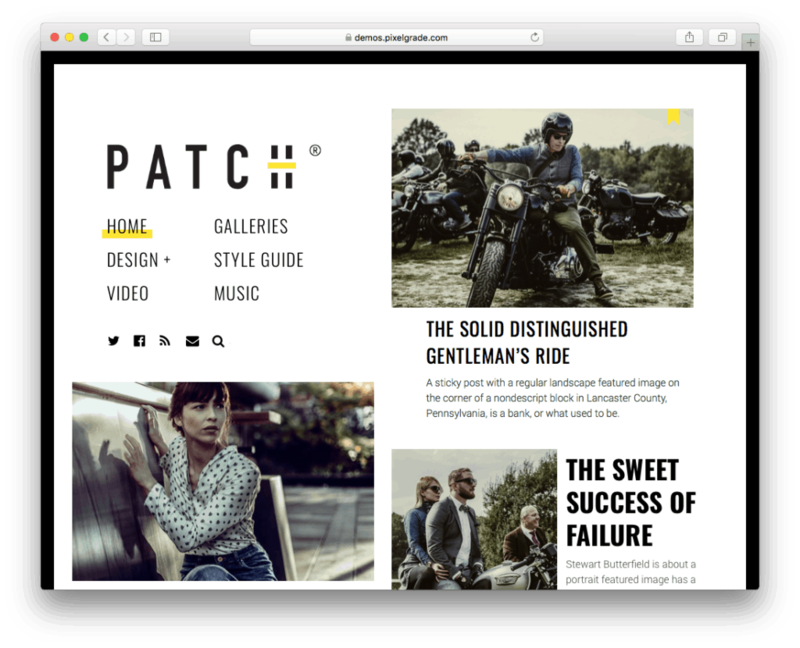 Pixelgrade is a design studio that develops WordPress themes that solve genuine digital problems. Comprised of a small multidisciplinary team, Pixelgrade’s been active for over 6 years already, time in which they have evolved and challenged the status quo of WordPress sites. Pixelgrade is a design-first company that crafts digital solutions. On top of this, the attention for details — which translates to how the product looks, the way they answer to a support ticket, how they write a blog post and how they play with branding elements — they’re an easily recognizable force. In general, we are seen as WordPress themes authors, but in the last years we’ve expanded our playground to do more. We started building adjacent tools, whose purpose is to bring value to the clients we’re working with. Pixelgrade boasts with a global impact, which comes with an enormous responsibility as they help people from all around the globe to better express their ideas, and produce a positive impact on their belonging communities. We do not want clients just for the sake of numbers or growth, instead, we wish to attract players who want to leave their mark — positively speaking — in the communities, they belong to, and lead by example. Our experience with providing managed WordPress hosting has taught us that the market is booming with choices. Thus, being distinctive is becoming increasingly difficult. We’ve always tried to be the odd one out in this sea of choices, and we found our unique selling proposition in offering a more robust WordPress hosting infrastructure, backed by a developer-first mindset. Pixelgrade’s first contact with emerged from a traditional Google search. They wanted a managed WordPress hosting solution for their demo sites, and somehow we were the ones to stand out. We chose Presslabs for several reasons. We were glad Presslabs was also from Romania, the price fitted our expectations, a trusted infrastructure, and last but not least, the Presslabs platform is developer-oriented through their documentation and the tools they develop. We take pride in delivering top-notch WordPress hosting with 100% uptime. We’ve mentioned our developer-first mindset and Pixelgrade has identified it correctly — we’ve lately introduced Gitea to enable a smooth development experience, based on a git workflow. Moreover, we’ve always regarded our customers as our family. Likewise, our collaboration with Pixelgrade stands between those lines. The foundation of the Presslabs – Pixelgrade relationship was cemented with the migration process — we’ve provided a smooth and easy migration, implementing the needed deployment flows for Pixelgrade. Hence, we started off on the right foot and with the right mindset. Despite some initial difficulties with the WordPress multisite environment, the Presslabs team was hands-on and implemented, or came up with solutions. We can say it was a win-win relationship. Here at Presslabs, we emphasize the need to work with the people behind the brand. We always want to know our clients personally, to understand their businesses so we can create that specific experience which would better suit their sites. Getting to know the people at Pixelgrade was definitely memorable; their hunger for perfection is unparalleled. The support that Presslabs offers is one of the best we’ve encountered in hosting (and beyond). It is very human, proactive and solution-oriented. Keep up the good work! Both parties — Pixelgrade and Presslabs — are concerned with providing meaningful services, products, and experiences. Put the Pixelgrade themes on our platform, and they will run like clockwork. You don’t have to take our word for it, because we’ve put this assumption to test. To prove our point, we tested the following Pixelgrade themes: Vasco, Hive, Patch, and Silk. We used the Pingdom tool to see how the themes run on the Presslabs platform. Ready? On one hand, we’ve tested the front page. In terms of page load time, Hive is the quickest, while Patch is a tad behind, but still with a reasonable time. Silk has handled the most requests, 105 to be exact, while Vasco makes the fewest, 70. Likewise, Silk had 100 DB queries, while Vasco had 9. Vasco is the biggest in terms of size at 3.5 MB, while Hive is the smallest at 1.4 MB. On the other hand, we’ve also wanted to see how the content pages are running. In terms of load time, Hive is again the quickest at 749 ms. Silk makes the most requests, while Vasco the fewest. As DB queries go, at one end is Silk, with 23, and at the other end is Vasco, with 15. Hive is the smallest in terms of size, while Vasco is a tad bigger. Choosing either of the themes for your business, and couple it with the Presslabs hosting, you’re guaranteed to get a well-oiled machine. The Pixelgrade collaboration with Presslabs is a textbook relationship for B2B: mutual respect and support, enough flexibility for both sides, and always improving and evolving services. Creating a better environment for agencies to grow their websites and customer base is what we do on a daily basis, and our collaboration with Pixelgrade testifies it. We are delighted with our collaboration so far and expect many more amazing things!